We are your trusted partner in success. Our firm is large enough to offer a full range of professional services at a fair price, but small enough to give you the individual attention that you deserve. We have been in business for over fifty years and can assist you and your business for all your accounting and tax needs. 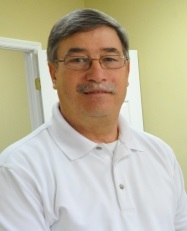 Jim earned his BS in accounting from the University of North Alabama in 1976 and his Masters of Business Administration from UNA in 2009. Jim has over 35 years of public accounting experience and over 10 years teaching experience in the fields of accounting and taxation. He is a featured lecturer for the University of Tennessee Extension annual tax seminars across the state of Tennessee. He was born and raised in Lawrenceburg and has first-hand knowledge of local economic trends and the effects on local businesses and families. 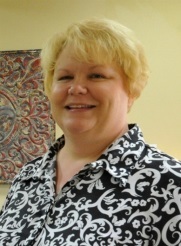 Maribeth earned her BS in accounting from the University of North Alabama in 1993. She has over 20 years of public accounting experience. Her experience includes all phases of bookkeeping, tax preparation, payroll computation and preparation, and business planning. She was also born and raised in Lawrenceburg and is a mother of four.